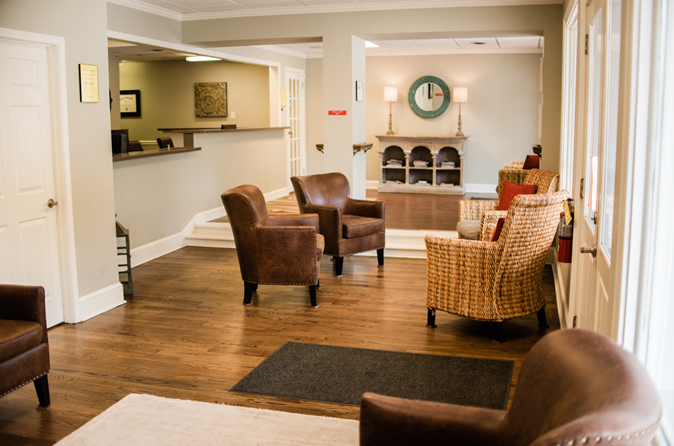 26A E. Main St N.
Experience the highest quality dentistry, from our family to yours. Choose Allred Family Dentistry to care for your smile! Whether you hope to improve your look with cosmetic treatments, restore your mouth’s form and function, or merely maintain your oral health, Allred Family Dentistry has four skilled dentists at two convenient locations to serve you. Brothers, Dr. Ben, Dr. Marc, and Dr. Jason Allred, and their father, Dr. Robert Allred have a passion for improving smiles through dentistry. With the help of a professional, friendly team of hygienists, assistants, and administrators, and with the latest and greatest technology at their disposal, the Allred Family dentists offer a variety of treatments to meet your needs. Call or visit one of our two area locations today – on 8th Street in Griffin (770.228.6101) or on Main Street in Hampton (770.946.3576). We can’t wait to meet you! Enjoy a four dentist-practice for all your dental needs. Allred Family Dentistry offers dental care from our family to yours! The Allred dentists –Dr. Ben, Dr. Marc, Dr. Jason, and Dr. Robert – have your smile solution, whether you need cosmetic care, restorative treatment, or simply general preventative dentistry. A quality dental experience means a quality team. 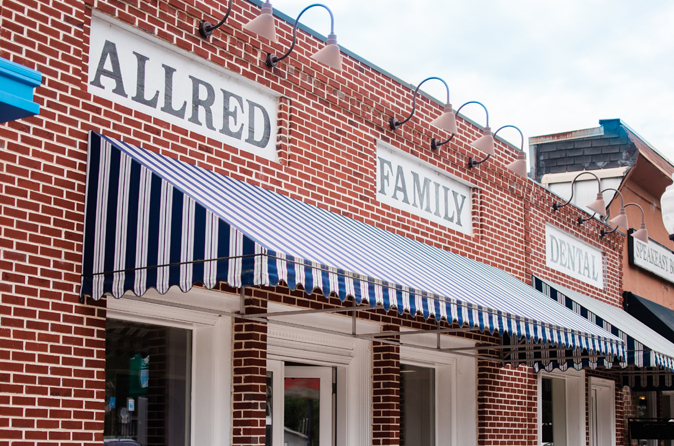 Allred Family Dentistry’s two locations in Griffin and Hampton are staffed with a skilled, dedicated team of professionals. From the first friendly face when you walk into the office, to the dental hygienist who performs your cleaning – you’ll be made to feel like a part of the family. Receive lasting restorations that look great, too. Thanks to new advancements in dentistry, you can now have tooth-colored fillings instead of silver fillings, resulting in a long lasting, brighter, whiter smile. Bonded to the teeth for a stronger restoration, composites are crafted to look as natural as possible. When it comes to improving your smile, trust a classic prosthesis. Crowns are used to restore chipped teeth, broken teeth, gaps in teeth, and to correct other damage. If your Allred Family dentist recommends a crown, you can expect a lasting restoration that repairs your mouth’s function, restores your oral health, and looks great, too! Very professional and courteous business. They are very friendly. And much more professional than my last dentist. After I went to visit them, I switched my whole family over. Great people and they listen to their patient’s needs. Fair prices. Gentle touch. Thank you. To learn more about our Dental Membership Plan through Smile Advantage, or to register online, click on the appropriate office link below. We offer plans for Adults, Children, Dentures and for Perio specific needs. Join today and enjoy free exams, x-rays and cleanings, plus 20% off all other dental services! 26A E. Main St. N.